THE FACULTY and staff of Alabel National Science High School embraced educational technology as they learn Google Applications this afternoon. 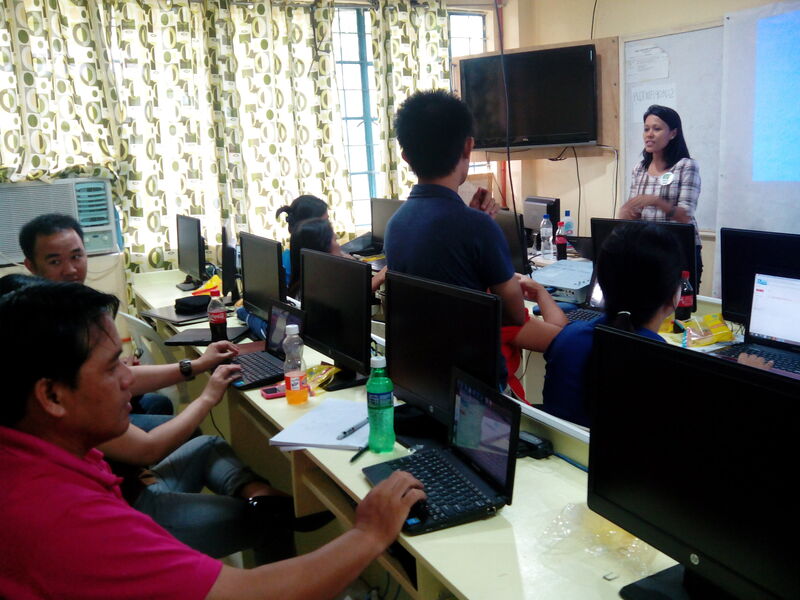 The Google Apps Workshop was organized by Google Educator Group (GEG) Sarangani in partnership with the AlSci Faculty Club as part of the school’s Faculty and Staff Development Program. Teachers now have their own work emails using the school’s web domain, rshsxii.edu.ph. Powered by the world’s leader in internet-based applications, the faculty and staff started using a better system for communication and sharing of information through Gmail, Calendar, and Drive. Faculty Club president Ariel Armada encouraged the teachers to continue learning to be able to give the students the best quality education that they deserve. GEG Sarangani Leaders are hopeful that the workshop has given the teachers valuable information to improve classroom instruction and learning management. “This is the start of your journey towards a paperless classroom,” Google Community leader, Avel Manansala, told the teachers. The teachers are hopeful that the school’s ICT infrastructure will be further improved now that they are seeing a more active integration of technology in their teaching.